READY TO FEEL EMPOWERED ABOUT YOUR FINANCIAL FUTURE? Peter Kinch is a Mortgage & Investment Advisor who offers a hybrid-approach to your financial plan. That means, he is uniquely licensed to offer professional advice in Mortgages and Private Equity with affiliated partners in Portfolio Management. Feeling empowered about your financial future begins with having clarity of your goals and the path to get there. Peter will listen to you, learn about your goals, and offer un-biased guidance to develop a personalized plan. You’ll move forward feeling confident about your portfolio and empowered to reach your destination. Feeling 100% confident that you’ll achieve ‘Checkmate’ with your financial plan starts with booking a meeting with Peter. He will listen to your goals and with his unique dual-licensing in mortgages & financial services, will build a custom plan to help you reach your destination with confidence. Any goal is achievable. You just need a plan that is customized for you. In the absence of clarity, you can get sold anything. Working with Peter to identify your goals will help you build a plan and choose products with a clear and confident perspective. Peter Kinch is an award-winning mortgage broker who has been working in the world of mortgage and finance for over 20 years. He is a best-selling author and a highly sought after speaker and educator who is highly regarded by the media. Trust the name the media turns to! Knowledge is power. Knowing what financial products you have and why you have them is critical to your future prosperity. Knowing they are strategically chosen to help you achieve your dreams and goals is empowering. He is one-of-a-kind – Unique in the financial industry since Peter is both a licensed Mortgage Broker and a licensed Exempt Market Dealer Representative (DR). As such, clients receive an un-biased analysis of their portfolio and will obtain a well-balanced plan that is developed in the context of long-term goals. A hybrid approach that incorporates both real estate and the markets. Feeling confident about your daily and long term finances inspires happiness. Whether your investments are conservative or aggressive isn’t critical. Knowing that they are strategically managed within the context of your PLAN is a game-changer. Imagine the feeling of making an investment decision with the clarity and confidence knowing that it’s consistent with the desired end result. 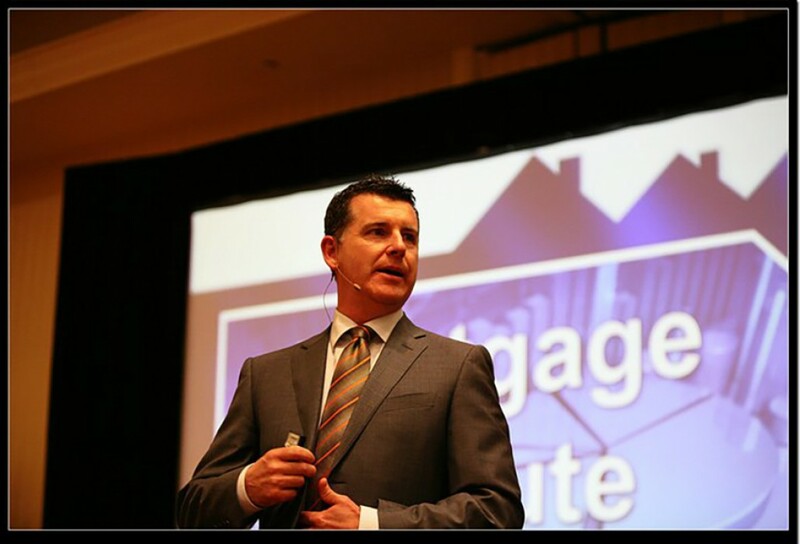 People often ask me – do I spend more time doing mortgages or more time doing wealth management? My answer is neither – I spend 100% of my time doing an overall plan with the client. I believe that everyone should have a balanced approach between Real Estate and the Markets. We can provide expert advice, arrange financing and help you develop a well-balanced and truly diversified portfolio. Clients receive an un-biased analysis of their portfolio and will obtain a well-balanced plan that is developed in the context of long-term goals. Your house can be the biggest investment you make and your mortgage is often your single biggest expense. It’s important to look at this expense in the context of your entire Financial Plan. The first thing we’ll do is start with the end in mind. We’ll listen to learn more about your entire financial picture in order to truly determine the best mortgage product and structure that’s right for you. We look at where you are today, where you see yourself in 5, 10 or 15 years and then determine how best to structure your mortgage for today to ensure that you are positioned to accomplish your goals for the future. You need to work with a professional who understands what’s important to you. MORE THAN JUST A RATE? Peter Kinch has 20 years of experience in working with mortgages and finance and is considered one of the foremost experts in real estate finance for investors. Peter pioneered the concept of looking at a mortgage from a ‘portfolio’ approach as opposed to simply a one-off transaction. In the process, he and his team have arranged over $1 Billion of mortgage financing over the past 15 years for residential and commercial real estate investors. More importantly, Peter’s ‘5 Year Action Plan™’, which walks you through a business-planning approach to buying real estate, is considered one of the best tools in the market for any real estate investor. Peter’s best-selling book, ‘The Canadian Real Estate Action Plan' will provide you all the insight and tools you’ll need to succeed as an investor. People often ask me – do I spend more time doing mortgages or more time doing wealth management? My answer is neither – I spend 100% of my time doing an overall plan with the client. Should I invest in Real Estate or the Stock Market or Private Equity? A common question – but why does it have to be one or the other? The best solution is a hybrid that can integrate a variety of investments into your plan based on your long-term goals. An investment is simply a VEHICLE designed to accomplish an end result – that vehicle could be real estate, the markets or private equity. The secret is to know what end result you want/need BEFORE you choose your vehicle. “There’s no point in getting a great deal on a Porsche if you’re destination is Hawaii.” Everything begins with a plan - it’s not about whether you need a mortgage or whether you need an investment. It’s about taking stock on your current financial reality, analyzing where you want to be in the future and putting a PLAN in place to accomplish it. Start with the end in mind and reverse-engineer the process to determine what result you need from today’s investments in order to accomplish tomorrow’s goals. Before any investments are made the first step is to determine your Gap Analysis©. This takes place during an in-depth meeting to assess your current lifestyle and spending/savings habits, income sources, and current investments. Then leaping forward to your goal dates for financial independence or retirement, we can complete a Gap Analysis© to determine what plan and lifestyle adjustments are needed to reach your end goal. What is the Exempt Market? Peter Kinch is a registered Exempt Market Dealer representative with Diversifi Alternative Investments Ltd.
Have questions? Want us to get in touch with you? We'd love to hear from you.